Rodrigo Duterte, the current president of the Philippines, recently concluded his three-day visit to China. The visit resulted in agreements in four areas such as infrastructure funding, human resource development, energy cooperation and news/publishing. 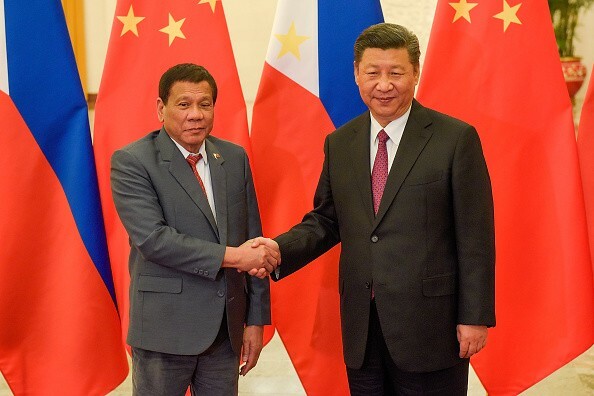 The primary purpose of Duterte's visit was to attend the Belt and Road Forum for International Cooperation, a forum that focuses on Chinese President Xi Jinping's project in reviving the ancient Silk trading route. The Philippines is participating in the Belt and Road initiative in order to improve the aging infrastructure problem and inter-island transportation of the country. The visit was also capped by a meeting with Xi. The meeting yielded four agreements; the one on economic and technical cooperation grants the Philippines 500 billion yuan for the construction of bridges and drug rehabilitation facilities along the Pasig River. According to Duterte, the grant from China is a testament of the deepening ties between the two countries despite the result of the South China Sea arbitration case. Since Duterte assumed the presidency in the Philippines, he has chosen to downplay the territorial dispute in order to have improved economic relations with China. He has also turned to Beijing over the United States when it comes to improving the country's infrastructure and military. The Memorandum of Understanding on Energy Cooperation was signed by the energy administrations of China and the Philippines. This MOU aims to strengthen the ties of each country when it comes to electric power, oil, natural gas and other energy sectors. The Memorandum of Understanding for News and Publishing was signed by China's State Council Information Office and the Presidential Communications Operations Office of the Philippines. The MOU aims to promote joint activities between the news organizations in both countries as well as to enhance capabilities in the field of international communication and publishing.